Piku, directed by Shoojit Sircar, is a charming, unpredictable comedy that – like Sircar’s Vicky Donor – mines humor from the unlikeliest of places.Sircar keeps a breezy, light-hearted tone throughout, infusing a hint of humor even in the decidedly emotional bits.I’m going with four out of five for Piku. Although obsessed with all the wrong body parts, it’s a film that’s full of heart. On the whole, Piku has sectional appeal only. It is entertaining and very different from the usual commercial films but it will be loved by only the class audience and will, therefore, score in good multiplexes, mainly in the cities. But business in lesser multiplexes, single-screen cinemas and smaller centres will be low as the masses will not take to the drama. Piku’s story is stunning. It beautifully explores the most basic bond of life – a parent, a child, a beginning and an end. It looks shyly at love. It smiles tenderly at Bengali flavours, at fish fry and digestion pills, but also at universal stories, of irritating relatives and domestics who look after us until we die. A warm, charming and bittersweet family drama, Piku turns the genre completely on its head. The result is a magnificently original film that delivers a memorably unique movie experience. Piku is an absolute must watch. 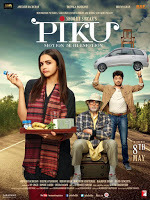 An emotionally rich and endearing film, Piku is a heart-warming experience that every Indian who has lived with ailing or ageing parent will connect to. 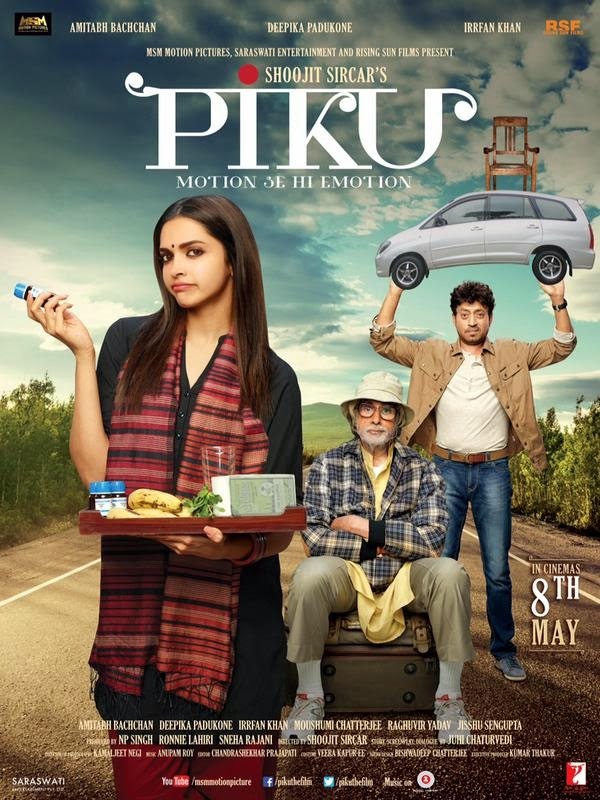 Piku offers no masala or romantic escapades but neither does it bog you down with preachy monologues and gyan on how kids should be responsible towards their parents. This is the kind of entertainers Bollywood should aim at. One has to applaud the way in which Shoojit has handled the sweet and simple tale of PIKU. This film will definitely go down as one of the films in his repertoire that demands a superlative applause. Even though the film is good in overall perspective, the climax is sudden and does seem to be left incomplete. On the whole, PIKU is a must watch this season as it brings back the memories of the legendary directors Hrishikesh Mukherjee, Basu Chatterjee and likes. This is a film that shall grow with word of mouth. the film puts a smile on your face primarily because of the collective prowess of its principal cast. Watch Piku if you are in the mood to watch a movie that’s all heart. There are no larger-than-life heroes, dramatic transformations or neatly-tied endings. Still, Piku works its magic because it steers clear from the usual trappings. A film like Piku is inventive and unconventional but mainstream. You wish there were some more drama in the second half to elevate it further. However, the performances are so tight that they overpower everything else. Piku is one of the best films of the year. It’s a must-watch for the thundering trio of Bachchan, Padukone and Khan. Synopsis: A cab driver (Irrfan Khan) is caught between a dysfunctional father (Amitabh Bachchan) and daughter (Deepika Padukone) as he drives them to Calcutta.